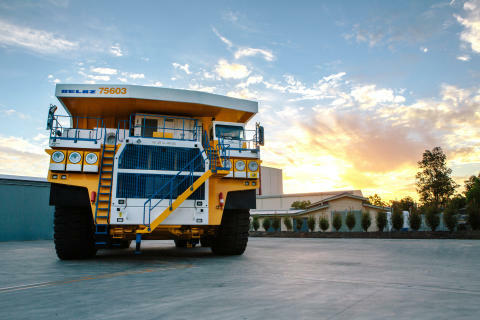 Rank 5: The Belarusian manufacturer Belaz is highly involved in the big-truck-business. The 75600 is 15.5 metres long, 9.45 metres wide and 7.47 metres high. It can heft up to 360 metric tons in its oversized skip. Place 5 of the Ranking.